Word is that Inuits and Santa Claus swear by these things. 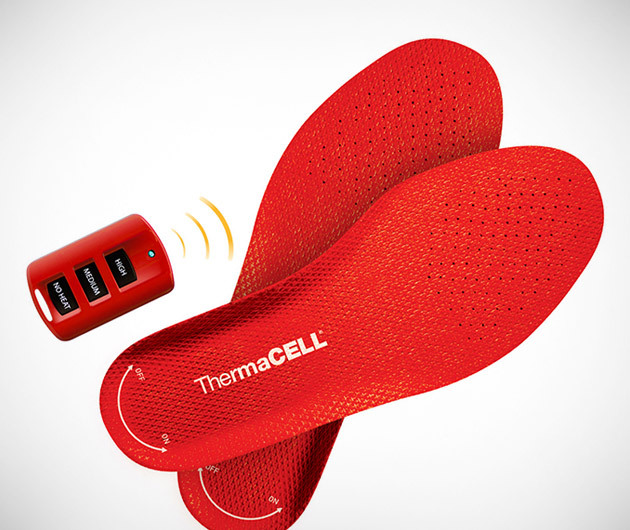 The ThermaCell Heated Insoles will put an end to your cold feet (in the most literal sense - they won't necessarily make you more courageous). Courtesy of in-built rechargeable lithium polymer batteries they soothingly raise the temperature of your tootsies, boasting three settings, medium, high and off, of course.